Most residential occupiers will have the benefit of the Protection from Eviction Act 1977. This Act makes it an offence to evict someone from a residential property without a court order. Although there are some exceptions, the safest way to proceed when dealing with a property that is either partly or wholly used for residential purposes is to seek an order for possession from the court to ensure that possession is lawfully obtained. Possession Proceedings: Landlords must obtain a Possession Order from the court if the tenants do not voluntarily vacate at the end of the tenancy. If a Landlord unlawfully evicts a tenant they could face a claim for damages. Damages for unlawful eviction: The Housing Act 1988 provides that damages are payable to the tenant “in respect of his loss of the right to occupy the premises in question as his residence”. The measure of damages is based on the profit the landlord obtains by evicting the tenant. That is, the difference between the value of the landlord’s interest with the occupier enjoying a right to occupy and the value of the landlord’s interest without the occupier having a right to occupy. If the landlord behaves very badly aggravated damages can also be awarded. Enforcement: If after a Possession Order is made by the court the tenant still does not leave, the bailiffs will need to be instructed to evict them by applying for a warrant for possession. This can add a further few weeks to recovering possession. The bailiffs deliver the warrant for possession to the property 5 clear days before the eviction. In most cases the tenant will have moved out before the date of the eviction. However, amendments have also been made to ensure that tenants cannot use the rules to frustrate legitimate evictions for non-payment of rent or anti-social behaviour. The government claims the proposals are designed to strike the right balance, so they only target bad landlords and cannot be used by tenants to frustrate legitimate evictions, and also avoid excessive regulation, which would push up rents and restrict supply in the private rented sector, reducing choice for tenants. See our recent article on the Government’s proposals to protect tenants against unfair evictions here. Laura Finnigan, Residential Property Solicitor, discusses the importance of insuring your house on exchange of contracts. Leaving a Close Relative Out of Your Will? Laura Finnigan, Residential Property Solicitor, discusses party walls. Do you own a Leasehold Flat? Moving Home - What are the Major Costs Involved? Minimum Energy Efficiency Standards and Landlord Responsibilities. Kerry Addison, Agriculture and Commercial Property Solicitor at Thompson Smith and Puxon (TSP) discusses the introduction of Minimum Energy Efficiency Standards (MEES) and the responsibilities landlords will face. Judith Winward, TSP Dispute Resolution solicitor, discusses changes in legislation that residential landlords need to be aware of. TSP Dispute Resolution Team leader Sharon Auton explains some of the changes to bankruptcy proceedings which came into force on 1 October 2015. 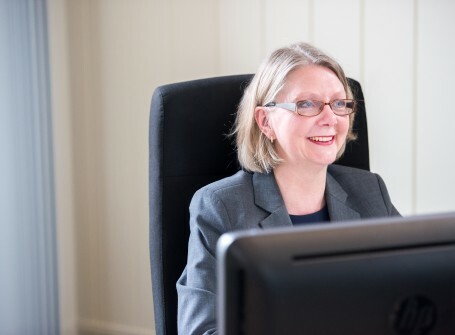 Sharon Auton, who leads the TSP Dispute Resolution team, discusses the new consultation on further court fee increases announced by the Ministry of Justice on Wednesday 22 July 2015. The TSP Civil and Commercial Dispute Resolution team, sets out the recent government proposals to changes in the legal regulation of residential tenancy relationships between landlord and tenant. The High Court has imposed custodial sentences on two defendants who had been found to be in contempt of court after breaching a freezing injunction over a company's assets.